The world of motorsport is about to see a new predator burst onto the scene. ŠKODA is expanding its participation in the World Rally Championship and entering its ŠKODA KODIAQ WRC into the newly created WRC SUV category. Starting in the next racing year, a new class of vehicles – WRC SUV – will compete alongside the current categories WRC and WRC2. WRC’s organizer, the FIA, is responding to the ever-increasing popularity of SUVs. ŠKODA and its factory team, ŠKODA Motorsport, will enter their representative – ŠKODA KODIAQ WRC – into the new category. FIA regulations require a turbocharged engine with 2.0 litre displacement and minimum weight of 1,650 kilograms. It is also required to retain two electronic assistance systems from the production model in the racing vehicle. ŠKODA has chosen Driver Alert, which recognizes driver fatigue, and Blind Spot Detect, which warns the driver of vehicles in the side mirrors’ blind spots. The designers and mechanics appreciate that the regulations leave them enough room for building a sufficiently agile and powerful racing machine. In view of the new car’s size and weight, they are devoting great attention to the braking system. The ŠKODA KODIAQ WRC is being developed by the same experienced team that last year won the World Champion title in category WRC2 with ŠKODA FABIA R5. And its string of victories is continuing. 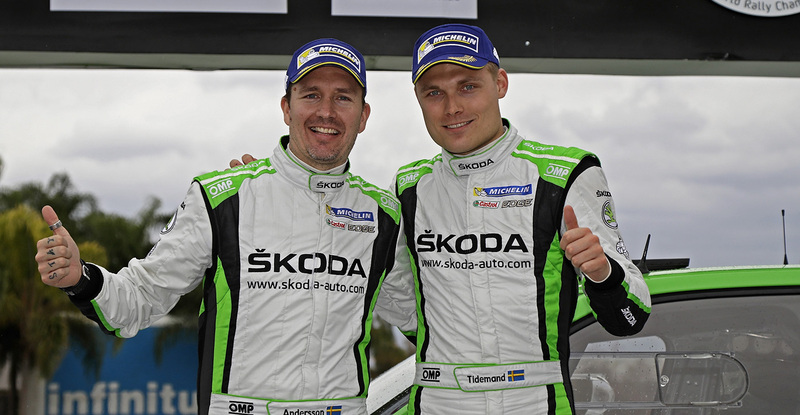 Most recently, in March, Pontus Tidemand drove the FABIA R5 to win the Rally Guanajuato México. The ŠKODA Motorsport team is looking forward to the new challenge and fully intends for the KODIAQ WRC to follow in the successful tracks of the FABIA R5. The team’s management, designers, and mechanics have much work ahead of themselves, but everyone believes they will manage successfully and that the new vehicle will be in tip-top shape and excellently prepared for the races. The team is leaving nothing to chance and is even working in a wind tunnel as part of the development. The car should be complete in summer, after which it will make a number of test runs. These will be in various countries and on a range of surfaces to simulate as nearly as possible the reality of World Championship Rally race courses. The team will announce the pilots’ names in September. It is currently in preliminary negotiations with several top racing drivers. The future pilots will be actively involved in testing before the KODIAQ WRC’s premiere season in the World Championship. ŠKODA KODIAQ WRC will first debut on a racecourse in January 2018 at the Rally Monte Carlo.